Zillow Inc. and Douglas Elliman Real Estate, one of the largest real estate brokerages in the nation and New York City’s largest residential brokerage, announced they have entered into a new strategic marketing partnership. All of Douglas Elliman’s listings will appear as featured listings on the Yahoo!-Zillow Real Estate Network, the largest real estate network on the web, via a direct feed from Douglas Elliman. The direct feed ensures accurate and up-to-date information is being shared with home shoppers from across the many regions Douglas Elliman serves, including New York, Westchester/Putnam, Long Island, The Hamptons, South Florida and Los Angeles. Also as part of the partnership, Douglas Elliman’s exclusive inventory of Manhattan properties will be marketed on Zillow for the very first time. As featured listings, all of Douglas Elliman’s listings will appear at the top of the search results on Zillow as well as on Zillow’s popular suite of mobile apps and on Zillow partners AOL Real Estate and HGTV’s FrontDoor. 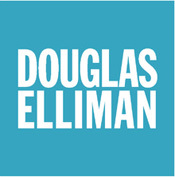 In addition to displaying as a featured listing on Zillow, all Douglas Elliman’s listings will feature unique branding and the company’s agents will get priority placement next to their listings, including a logo and link back to their website. The partnership will be live later this week. This entry was posted in Lewisboro, South Salem, Westchester NY and tagged South Salem Homes, South Salem Homes for Sale, South Salem Luxury Real Estate, South Salem NY Homes on June 26, 2014 by Robert Paul.